The pump is the heart of your hot tub, keeping the water flowing through the jets for massage; through the plumbing for flow and heating; and through the filter for sanitation. One of the most important things you can do to protect your spa pump, and the rest of your equipment, is to keep your spa water clean and balanced. Clean your filter regularly; test the water to maintain pH balance, and do not allow the spa to freeze or overheat. Water balance is important since excess alkalinity can corrode your equipment. Not to mention, it is safer for your family to bathe in clean, balanced water. There are several types of spa pumps, including circulation pumps, submersible pumps and blowers. However, we will only deal with the main spa pumps in this post. Your spa may have 1, 2 or even 3 pumps, depending on its size and the amount of jets. Some pumps are 1 speed, others are 2 speed. If you need to replace a spa pump, you will have to look at the label on the old one. Note the model and manufacturer – although many brands are compatible. The brand or make of spa doesn’t really matter, since most spa manufacturers buy their components from pump manufactures. You can generally save a lot of money buying the replacement part online from a reputable store. You can then replace the pump yourself – if you are very handy – or hire someone to do it. Wet End – on the left or right side? Often, you will also need some connectors or other pump parts when you are replacing your pump. Know your specs before you order spa pump parts. 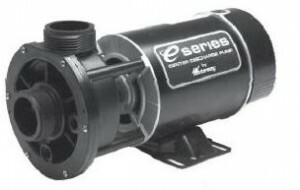 Typically you will get free shipping on spa pumps when they are ordered online in Canada. You can save big buying online over your retail dealer with delivery right to your door. So keep your water in good order to protect your spa pump, but know that you can save big ordering a replacement pump, and any other repair parts.